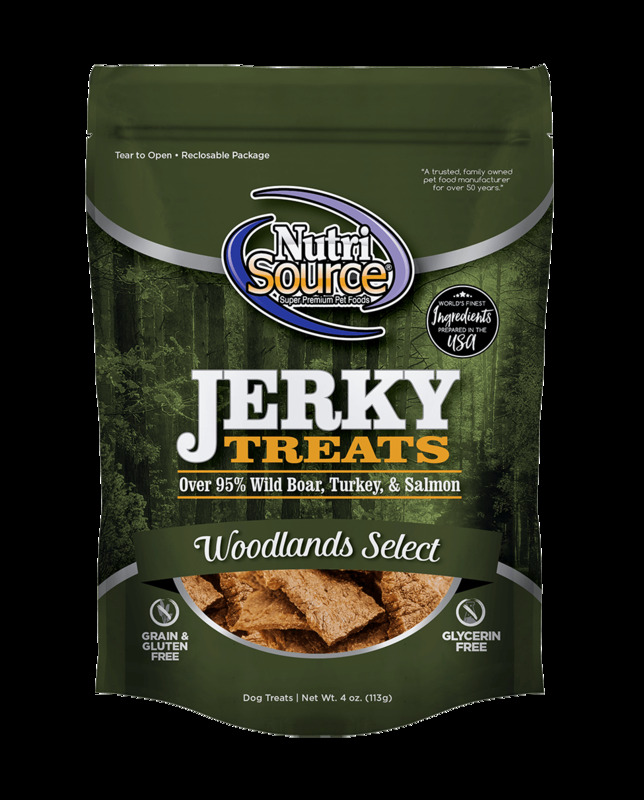 NutriSource® Woodlands Select Jerky provides a delicious and nutritious anytime treat for your furry friend. Made with Texas Wild Boar, North American Salmon, Turkey, and Pumpkin which is naturally rich in fiber and Vitamin C and prepared in the USA. Show your love to your dog by treating them with Woodlands Select Jerky every day! Wild Boar, Salmon, Turkey, Pork Broth, Sea Salt, Pumpkin, Organic Apple Cider Vinegar, Mixed Tocopherols (preservative).